“Educate a Girl” is deeply thankful and highly proud of our donors with whom we are actively working to deliver our life-changing programme to open the door of opportunities for 1 Million girls globally. These organizations are vital to advancing our mission and provide financial, in-kind and volunteer support while leveraging their brand’s assets to raise awareness about the program. 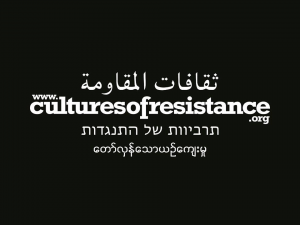 One of our highly important and respected donors is Cultures of Resistance Network, an organization that promotes global solidarity, supports efforts to secure peace and social justice, and brings together change-makers from around the world. The organization has supported Educate a Girl by sponsoring the course fee of 100 Educate a Girl scholarship winners. Together we trained girls to become a self aware and resilient member of society. 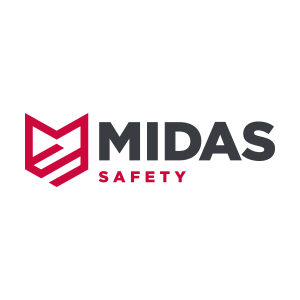 Midas Safety’s is best in-class safety solutions; the organization does not only broadest range of high quality products with superb technical expertise but also an unrivaled supply chain in every market. Midas Safety has supported the vision of Educate a Girl by sponsoring the course fee of 50 Educate a Girl scholarship winners. With the help of Midas Safety we have educated girls to become leading journalists of their respective fields. Blue Sky Club Blue Sky Club has sponsored the education of 25 Educate a Girl scholarship winners. With Blue Sky Club we have been able to empower the girls to realize their voice and share their views with world. High -Q Pharmaceuticals High-Q Pharmaceuticals was set up in 2007, is one of the leading pharmaceutical organizations of Pakistan. The organization is rapidly growing and innovating; almost all of its products lie among the top 5 brands of their respective generics. High-Q Pharmaceuticals has supported Educate a Girl by sponsoring the course fee of 15 Educate a Girl scholarship winners. Himont Group Himont Group the only pharmaceutical company in the country which has the capability to manufacture bulk chemicals finished pharmaceuticals and conduct self distribution. Himont have helped Educate a Girl by sponsoring the course fee of 10 Educate a Girl scholarship winners. Habib Oil Mills (Pvt.) Ltd. Habib Oil Mills (Pvt.) Ltd. “HOM” is the largest FMCG Company exclusively in the vegetable oil& fats sector in Pakistan. The company produces premium brand cooking oils and hydrogenated cooking mediums, and markets the products through its own distribution network, which covers almost all commercially viable markets nationwide. They have supported Educate a Girl by sponsoring 10 Educate a Girl scholarship winners. Oxford University Press Oxford University Press (OUP) Pakistan is a department of the University of Oxford. It furthers the University’s objective of excellence in research, scholarship, and education by publishing worldwide. OUP Pakistan has supported Educate a Girl by sponsoring education of 5 Educate a Girl Scholarship winners. Deepak Perwani Deepak Perwani a design house to reckon with; Deepak Perwani, the man who is responsible for changing the face of Pakistani fashion. His work for poverty alleviation and working with SMEDA for the rural women of Pakistan and numerous charities that he supports makes him an icon in Pakistan and an inspiration to both Pakistanis living home and abroad. His support in educating 10 scholar winners of Educate a Girl has been tremendous. HSY (Hassan Sheheryar Yasin) HSY is easily one of the most recognizable names in the region when it comes to fashion and entertainment. As a fashion brand HSY is best known for combining contemporary silhouettes with the traditional techniques of old. Hassan Sheheryar Yasin is the fashion force behind the label and has been referred to as the ‘New King of Couture’. He has funded 10 scholarships for the Educate a Girl scholar winners. Canada – Pakistan Business Council Canada-Pakistan Business Council was registered in Montreal in 1983,as a non-profit organization by several business organizations of Canadian and Pakistani origin, to promote trade between Canada and Pakistan. CPBC is a well reputed organization recognized by both the Governments of Canada and Pakistan. Together we have funded the education of 5 aspiring girls of Educate a Girl programme. in Toronto, Canada With the support of Consulate General of Pakistan Toronto, Canada we have successfully educated 5 Educate a Girl scholarship winners. Usability Matters With the support of Usability Matter we have successfully educated 5 Educate a Girl scholarship winners.